Building on the success of the H2NO Staff bag and based on the Three 5 chassis, Sun Mountain have developed the H2NO Lite. At just 2.16kg, this mid-size stand bag provides complete weather protection in a 100% waterproof but lightweight package. Like all H2NO bags, the Lite is constructed using fully waterproof fabrics, high-quality YKK waterproof zippers and all seams are then taped and sealed. 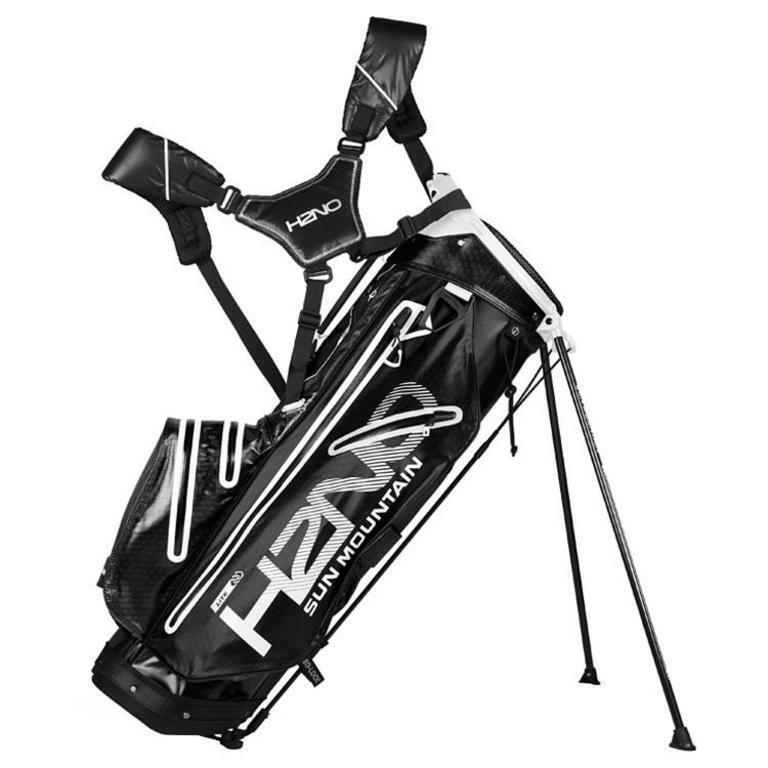 A patented, easily adjustable E-Z Fit dual strap system makes the H2NO Lite golf bag extremely easy to carry from fairway to fairway. Completely waterproof when the included rain hood is used and designed with a cart-friendly bottom and leg-lock system. The H2NO Lite golf bag is a clear winner, especially under cloudy conditions keeping your gear dry with its outstanding rain protection. The Sun Mountain H2NO Lite bag is truly a state of the art, lightweight waterproof champion of a golf bag.